Founded in January, 2012 by James Day, a former Silicon Valley advertising and marketing guru, the story of Suncrest began several years before in Denton, Texas. It all started back in 1984, when Jim’s brother Robert Day bought a greenhouse operation called Melotex, which had been a hydroponic tomato operation starting back in the 1970’s. Rob Day converted the business into a very successful wholesale bedding plant operation that he named Suncrest Growers. For more than two decades, Suncrest Growers was well-known for growing the finest bedding plants in the Southwest. Then the “Great Recession” hit and Suncrest Growers, along with one-fourth of all the flower growers in this country, went out of business. 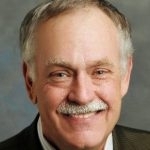 As an investor and partner in his brother’s business, Jim Day took over the company’s assets and began figuring out a way to change the business model and to leverage the use of the Suncrest brand. By combining his brother Rob’s greenhouse growing expertise and his own background in marketing and technology, Jim began focusing on how to grow food more efficiently, year-round in greenhouses. As his research into hydroponic technologies and markets gained momentum, he realized that he was onto something potentially huge. During the research stage, Jim discovered that growing leafy-greens in Deep Water Culture (DWC) for local niche markets was going to be a business model he wanted to pursue. He took the basic concepts that he had learned from Cornell University’s Horticultural Department and further developed them into a series of patentable ideas and trade secrets that would improve the efficiency and performance of DWC systems. In late 2011, Jim shared his business vision with the renowned Silicon Valley graphic designer, angel investor and friend, Lawrence Bender. 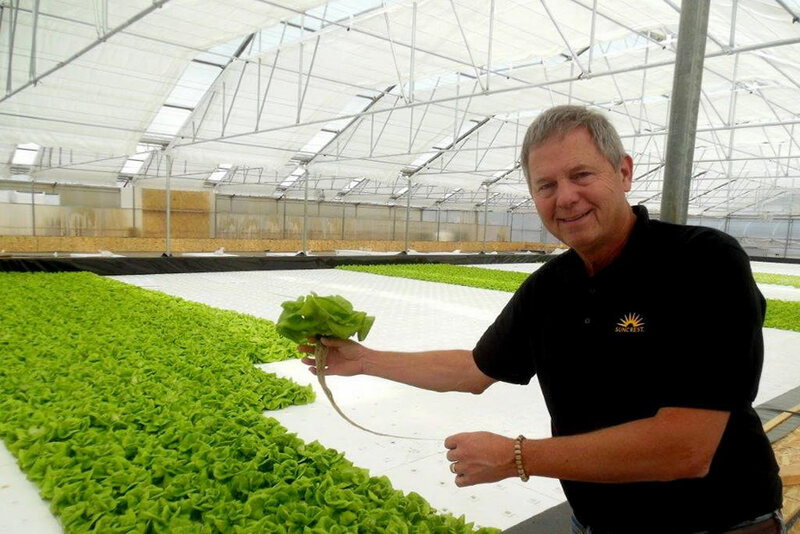 In January of 2012, with initial seed funding provided by Larry, Jim re-booted Suncrest as a DWC hydroponic technology company to grow Bibb, Red Romaine, Red Oak and Little Gem lettuce for local markets and high-end restaurants. All of his research was finally paying off as Suncrest entered a new exciting chapter. One of the first moves he made was hiring Dr. Gordon Snyder, a former classmate who had earned his Ph.D. in water science, and had worked for NASA, to join his team as a co-founder. Between their shared knowledge of chemistry and technology, this formidable team continued its skills and experience to develop their unique system. In 2013, Suncrest’s very first licensed deal was signed with a small flower grower on Whidbey Island, north of Seattle — Plum Hill, LLC. 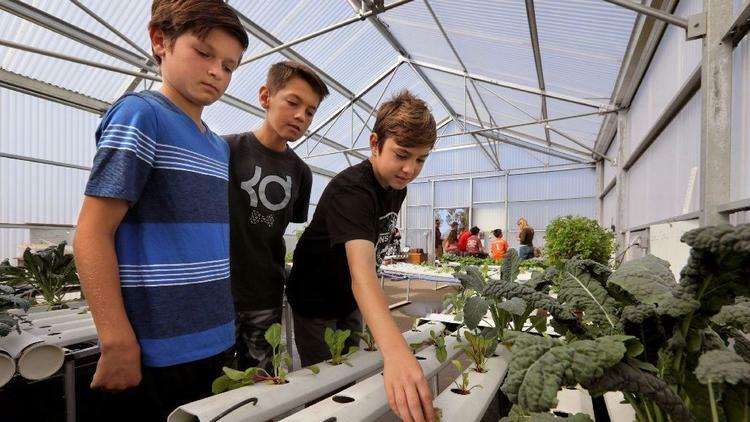 Their greenhouses were retrofitted with Suncrest’s DWC hydroponic systems and by 2014; lettuce was being sold to local chefs and retail consumers who validated the company’s products. Suncrest’s greenhouse growers simply grow the crops and Suncrest does the rest. 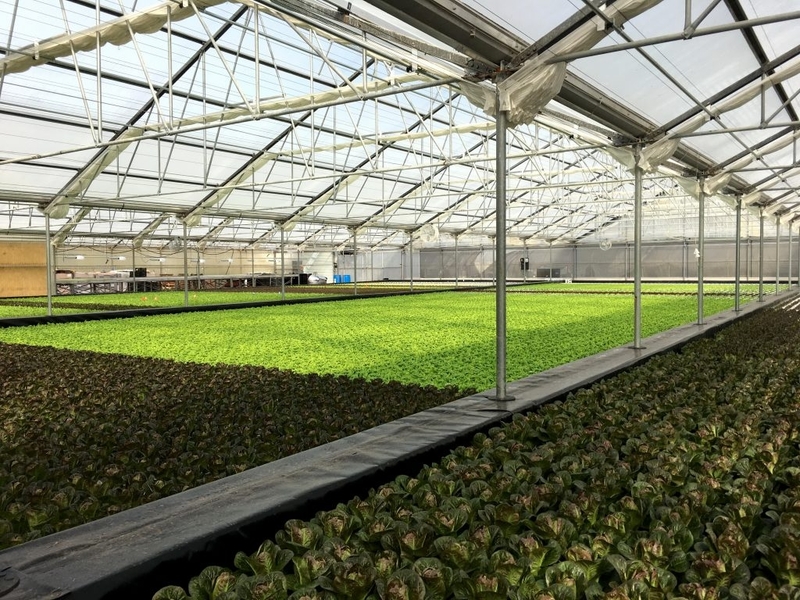 By the end of 2014, Suncrest had signed its second licensing deal in the San Francisco market with a major cut-flower operation — Oku, Inc. A year later, 55,000 square feet of greenhouses in Pescadero began producing lettuce under the name Pescadero Growers. 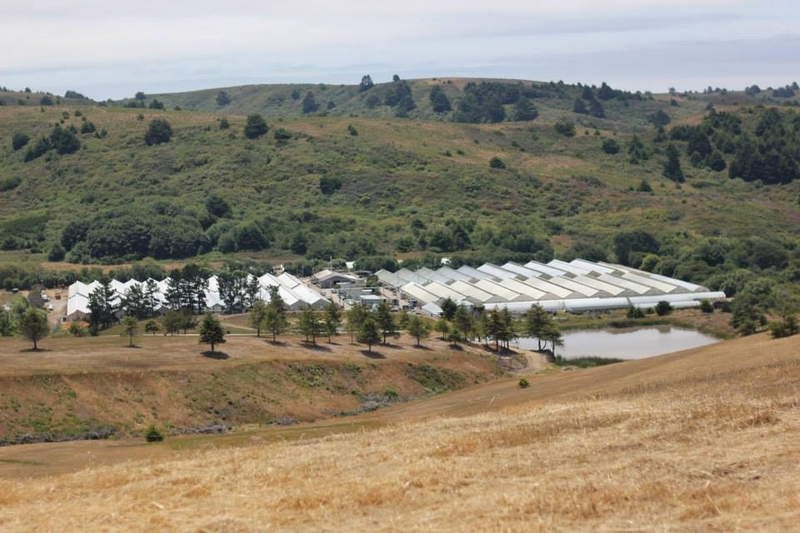 Currently, Suncrest has two greenhouse operations, one in Seattle and the other in the San Francisco Bay Area. 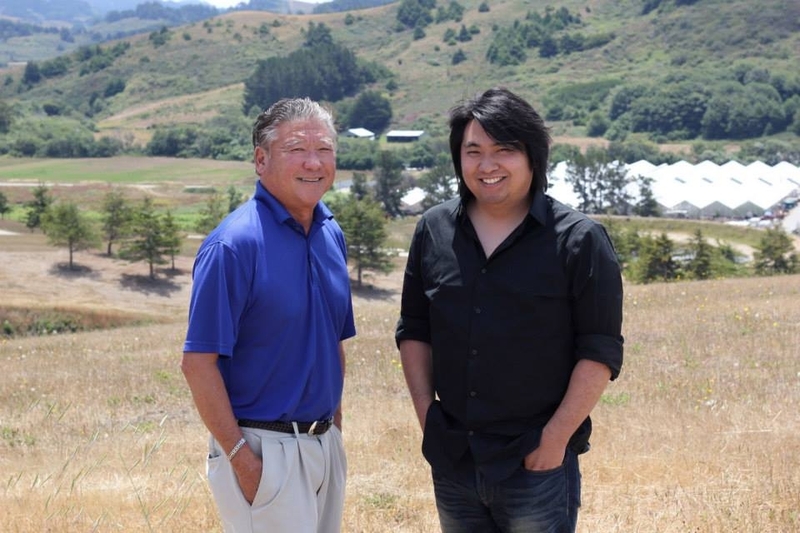 Steve Oku, the owner of Pescadero Growers is happy that he is working with Suncrest USA. “Our flower market started shrinking, so we decided to find something else to grow and that’s when we met Jim Day,” Oku said. 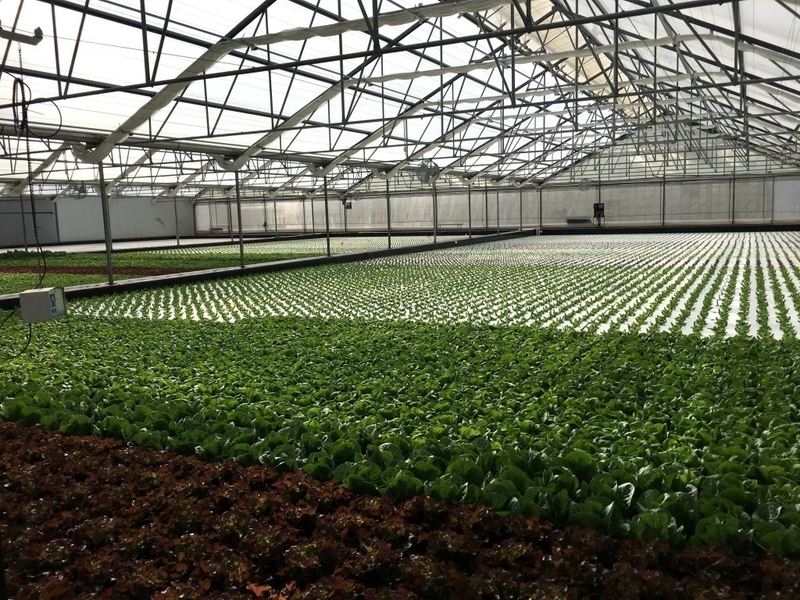 “We were already thinking about lettuce and going with hydroponics and that’s when we decided to start growing lettuce using Suncrest USA’s Deep Water Culture system. We have a ten acre greenhouse here, but we’re currently using only one acre right now for lettuce. Hopefully, we will add more as we expand our operation in the future. 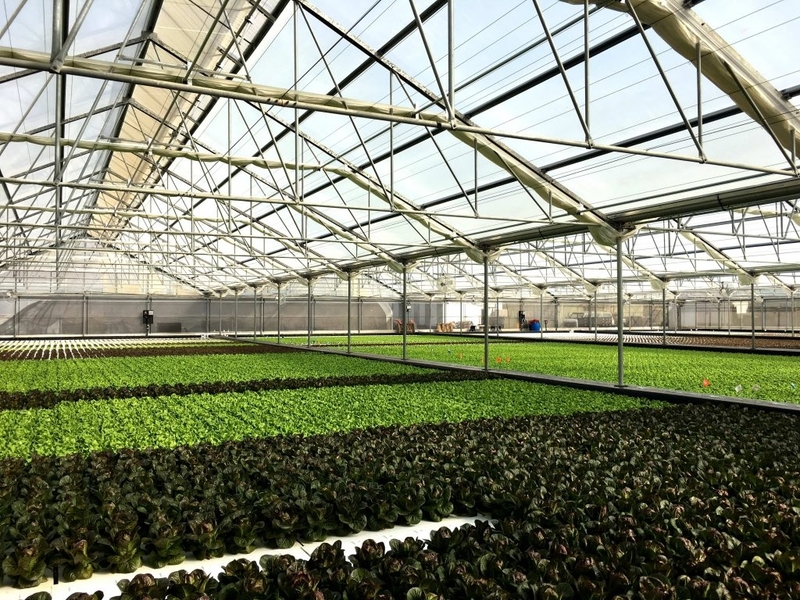 Agra Tech is the only greenhouse supplier that Suncrest uses for a wide range of reasons. 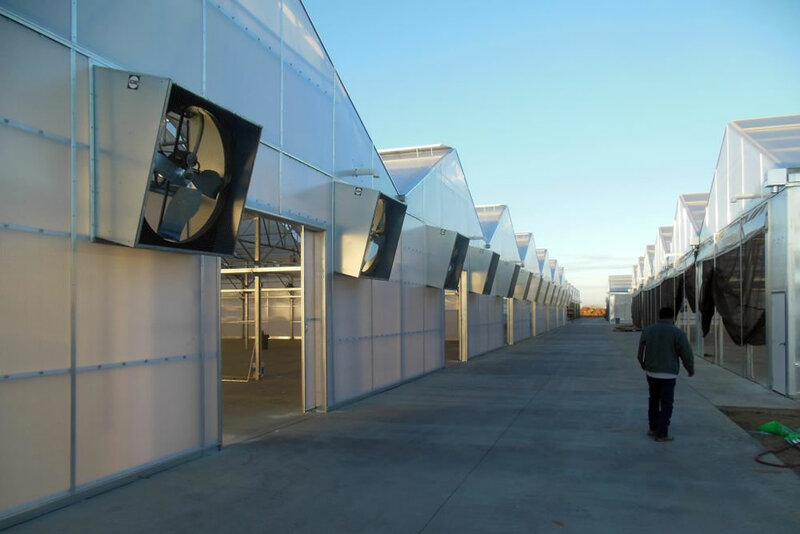 Agra Tech has developed some highly innovative greenhouse cooling systems that do a great job at cooling the greenhouse and for us, they are what we call a ‘best of breed” supplier. We really appreciate working with a company like Agratech, a company integrated by people who care about their customers, forming a great team. I am personally very glad to have chosen Agratech and hope to keep working with you guys in our future projects.